The Town Bird: Did Jaya Bachchan intentionally hinted Aishwarya Rai Bachchan? Did Jaya Bachchan intentionally hinted Aishwarya Rai Bachchan? Ae Dil Hai Mushkil starring Ranbir Kapoor, Anushka Sharma, Aishwarya Rai Bachchan and Fawad Khan is all getting a hit mush at the box office and given a taste of hit to Aishwarya who has not got any successful movie after her comeback. But there is something else that needs Aishwarya’s attention too, her MIL or Jaya Bachchan’s thought for the movie. At the 18th MAMI Film Festival in Mumbai, Jaya unresistingly admits her opinion about Ae Dil Hai Mushkil finely threw arrows to her daughter in law, Aishwarya Bachchan. She said, “Filmmakers, at that time, created art. Today, it's a business and it's all about numbers. Everything is thrown at our face. People have forgotten subtlety. Open display of affection is considered smart... sharam naam ki toh cheese hi nahin hai. Now, it's about huge collections at the box office, Rs-100 crore films, first weekend collection... It's all Greek to me”. On asking Mr. Bachchan about his reaction on the Film, Amitabh Bachchan has stated that he has not even watched the trailer of Ae Dil Hai Mushkil. 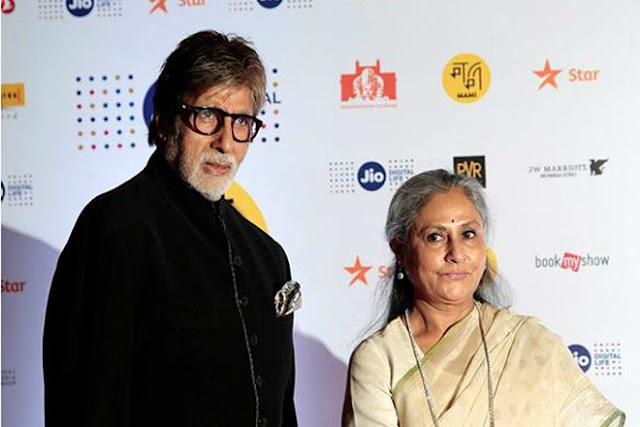 Do you agree with Jaya Bachchan?